When it comes to color protection and safeguarding your hair, you want products that treat your chemically treated hair with the gentleness and care it needs to keep it looking as beautiful for as long as possible. 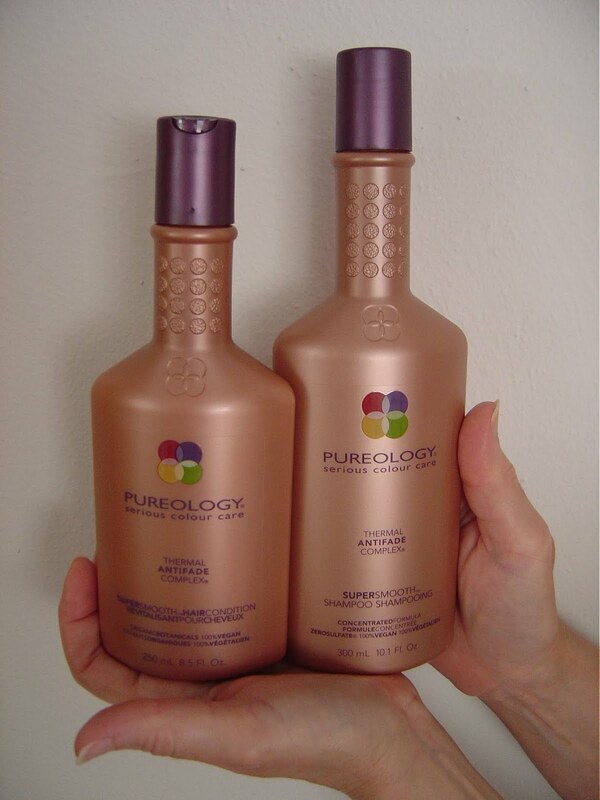 Pureology, pioneers of Zero Sulfate shampoos, sent me their newest SuperSmooth Shampoo and Conditioner for this review and giveaway. The Super Smooth line is geared for hair that has gone wild and is now unmanageable as a result of multi-chemical services such as hair coloring, relaxing, and straightening. I found after using this shampoo and conditioner that it only made my hair more lustrous with a feel as soft as corn silk! In conjunction with the launch of the Super Smooth line and the company’s continuing support of Global Green USA in a joint mission for a sustainable future, Pureology is sponsoring a promotion till the end of June 2011 toward their involvement with the Global Green USA’s Green Schools Makeover Competition that started March 1 and ends September 30, 2011. Anyone can nominate the public, private, or charter school from K-12 of their choice that deserves to win the $35,000 Pureology donation. To learn more go to Pureology or submit a school. Purchase the SuperSmooth Shampoo 10.1 oz. and the Conditioner 8.5 oz. that come with a free reusable bag ($10 value) plus you will get a packette of their Smoothing Exilir for $48 at your salon. Get on a move on it to take advantage of this promotional deal because it only lasts until June 30, 2011. I could use the EssentialRepair Hair conditioner. Product I'd like to try: SuperSmooth Smoothing Cream. I would like to try the PureVolume line. I learned that there are no sulfates in their shampoo.